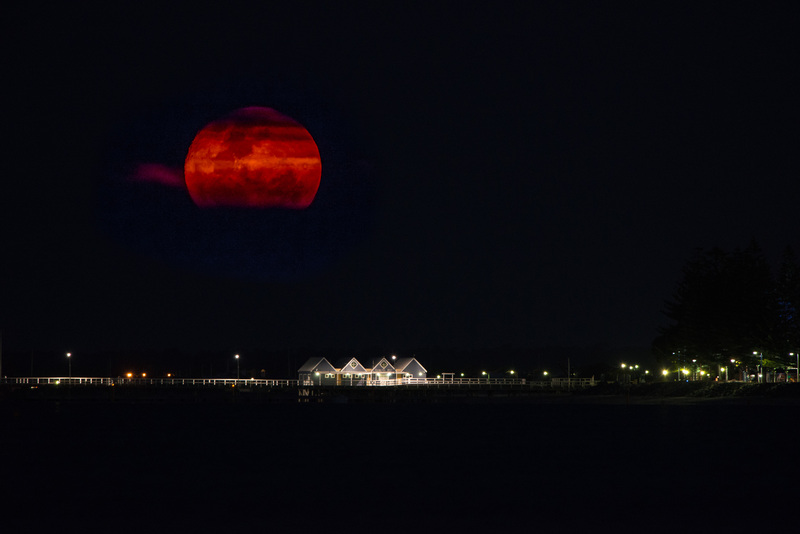 At this time of the year the moon rises far enough north that it rises over the base of the Busselton jetty when viewed from a vantage point on the beach about 5 kilometres to the west. This year there was a supermoon, and lots of smoke from controlled burns in the area. I was trying to get the jetty silhoutted in the moon, but low cloud prevented me from getting that shot. This will do though. Now I have to wait another year to try again. For those interested – the reason I went 5 kms from the jetty for the shot is because the moon stays the same size no matter where you view it from. The jetty gets smaller when you view it from a long way away. Put the two together and the moon looks enormous compared to the jetty. This entry was posted on October 29, 2015 by ianwiese. It was filed under Landscape .